Chepecho is different from the other animals because she has hooves, wings, and a fish tail. She wants to play with the horses, the birds, and the sea lions, but the other animals are afraid of each other. They only see their differences. Can Chepecho help them see how similar they are? The story starts when Maryam's dream carry her across the Arab world all the way to Jerusalem and the Aqsa mosque The story describes each site in the journey and at the end gives the reader a strong message that the Aqsa grows and grows, and the cause remains ever strong as time passes. 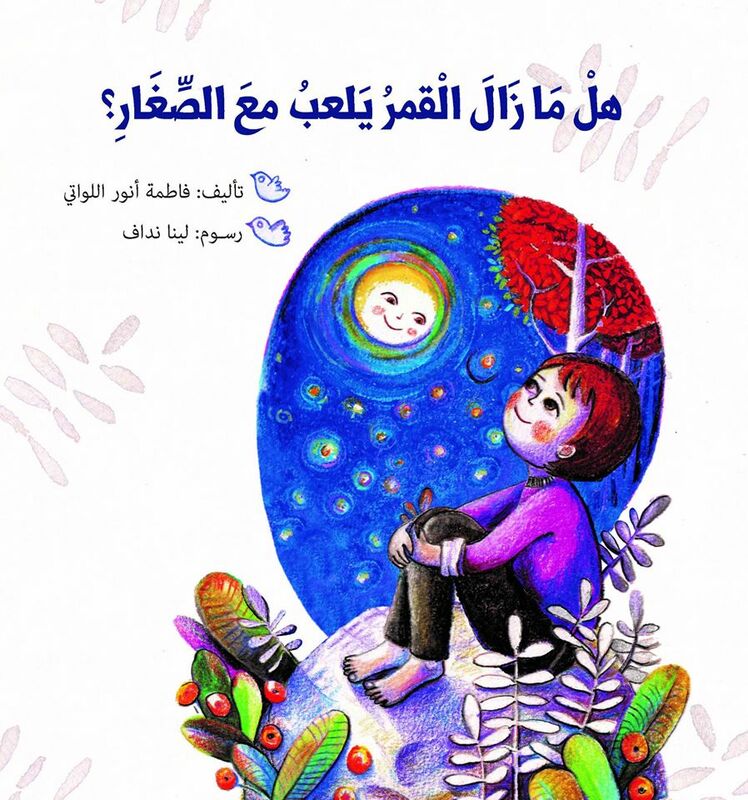 Zahraa is afraid of the night-- Night is dark and scary, and everyone is asleep. But one night, when she cannot sleep, Zahraa discovers she is not the only one who is awake. This story is available on Kindle in English for (&7.99). The Fairy and the Tooth Tree​-- After his loose tooth finally fell out, Yaseen’s story begins. What will he do with his little white tooth? His story brings forth traditions from both the Arabian culture as well as that of the West. They Planted Water-- Rabei’s village does not have a well, so each day, he and the people of his village must make the long walk to a well in another village faraway. The return trip is exhausting because the water is very heavy, but they need the water to grow their food. One day, after Rabei dreams of growing water, something very surprising happens. The story is available in English on Kindle for ($ 7.99). Flying between countries, talking in all languages, the bubble is a citizen of the world. As it magically floats from person to person, it seems to help them answer their problems and get them out of sticky situations… Hmmm, I wonder what it is! A young adult novel inspired by the life of Dr. Ali Irshad Al-Lawati, who was diagnosed with diabetes when he was 6 years old. Not allowing the disease to control his life, he embraces it and uses it as motivation to achieve his goals! The Adventure of the Ten Fingers-- Majid’s ten fingers all like to play with different toys. Unable to agree, they decide to go their separate ways. Their excitingly weird adventure flusters the fingers—and Majid—and they soon wish to be back where they belong. The story is available in English on Kindle for ($6.99). Majed loves to know what present he gets for his birthday. There is a big box next to his room. Majed is trying to find out what is in the box. Majed's imagination takes him from one fantasy to another, curious to find out what is in the box. Would you rather fly with Majed's fantasies or would you rather wait? A Goal Outside the Net-- On the 25th of March, Faris wrote a memoir in his diary about the goal that occurred outside of the net. History speaks of the day that the red team and the yellow team faced off on a pitch in the land of Babel. Faris wonders what happened to that black and white football that seems to have frozen in mid-air. The end of the match surprised everyone, both teams celebrated on that pitch on the land of Babel. Layan Planted a School -- After losing her home, Layan sets out on a mission to grow herself a house! But after finding out about something bad that happened to her school, her mission changes. Join Layan and find out how her journey ends! Ola Asks -- While reading the confusing title of a book, Ola talks to her Mom about how much mothers give up for their children. Ola tells her mom about the story of her friend Fatima, and Fatima’s mom. Does the Moon Still Play with the Children?-- Fares is a refugee child who misses his friends and his home. He wonders, does the moon in his country still play with the children? When will the Stars Travel?-- Maryam woke up one night and stared at the moon and stars thinking to herself, do they not want to sleep as well? How will they go home? Join Maryam as she waits for the big airplane that will take them home. One of the winning stories in "Writing Children's Stories" workshop 2016. A Stone in the Middle of the Field - These animals love football, and they play together everyday. But one day, they were astounded to see a huge rock sitting in the middle of the playground. So are they going to give up and go back home or will they do something about it? One of the winning stories in "Writing Children's Stories" workshop 2016. Who Will Hadi Play With? - Hadi loves to play hide and seek. But he finds it so hard to have a playmate. He tries to solve that problem by opening his toy box only to start an unforgettable journey of joy and entertainment. So who are Hadi's new friends? Majid Goes to the Beach-- Last time Majid went to the sea was a long time ago, but he really loves to see it. While on a trip to the beach with his mom, Majid tells his mom about his fear of the sea. Join Majid and see how he gets over his fear! Why did the bird fly away?-- Muzna loves birds, she loves them so much and feeds them seeds and water every day! But one little bird always flies away from Muzna, far, far way towards a big green tree. But why? One of the winning stories in "Writing Children's Stories" workshop 2016. A new neighbor moved to live close to Faisal’s house. The neighbor was a soccer player. But something surprised Faisal from his new neighbor. Then, a coincidence between the two children was the beginning of their friendship. What did Faisal do to win the friendship of his neighbor?